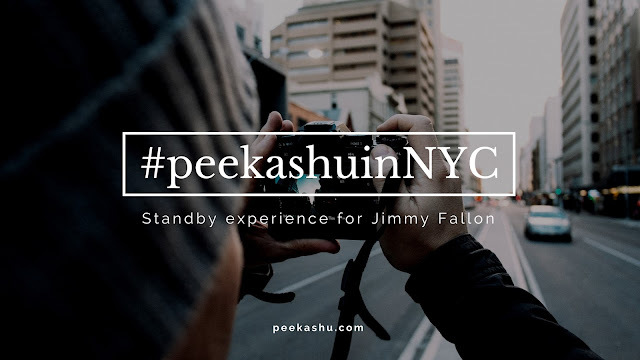 NYC: Standby experience for Jimmy Fallon - Peekashu. I love going to live tapings of TV shows, and had the rare opportunity to watch all the shows that I like - Trevor Noah, John Oliver, Stephen Colbert, Seth Meyers just to name a few. As you can see, I like political satire. 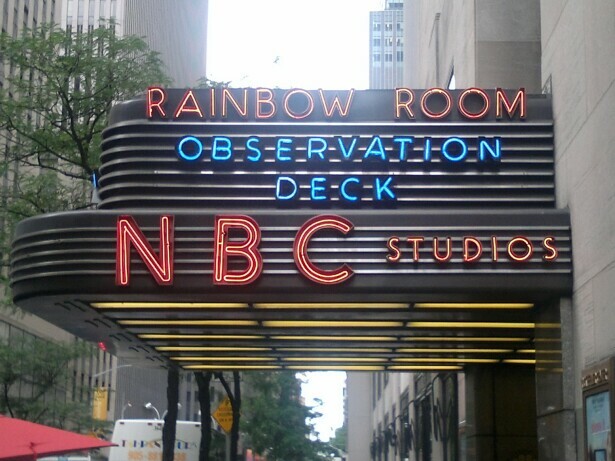 Nevertheless, I was told that I should try Jimmy Fallon while I have time in NYC. So here’s my personal experience getting standby tickets for Jimmy Fallon and some tips on ensuring you get it too! Follow @Fallontonight on Snapchat, as they often have ticket giveaways at a certain location (usually around noon). You’ll just have to be extremely lucky to be at the right place at the right time. Stand in the standby line before 9am. Check online before you go! 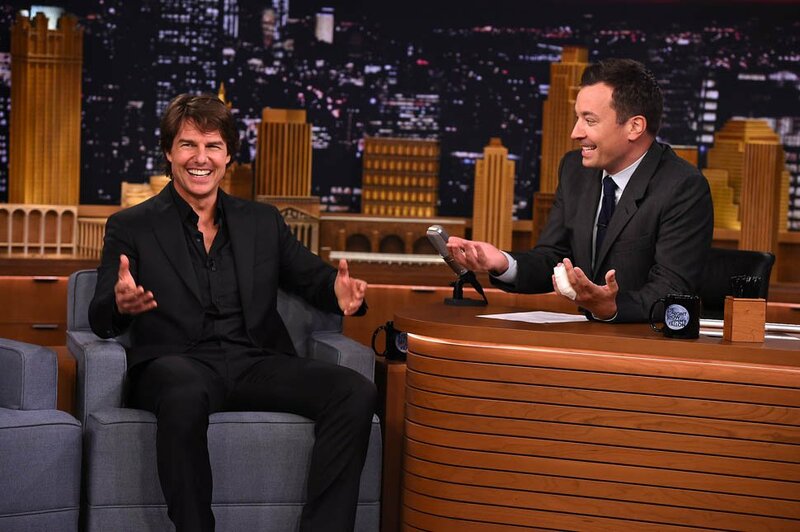 I picked a day with Tom Cruise. Audience are only allowed on the show once every 6 months, so plan ahead! I was the third party in line when I arrived at 4:50am. The girls at the very front were there at 12am. Depending on who the guest is, the line will vary so do your research and gauge how popular the celebrity you want to see is. Where do I queue up? The Marquee on 49th street between 5th and 6th avenue. All these information can be found on the Jimmy Fallon website. You need to be of 16 years of age to watch the show live. The family in line in front of me had to leave after queuing up for an hour because one of their kids is underaged. You cannot bring any large backpacks either, so if you are thinking of packing your picnic mats / sleeping bags, make sure you rent a locker somewhere nearby to store your belongings if you do get into the show. One of the people I met in line had to throw their bags away before the show. They are strict!! Also, don’t forget a government issued ID. When they give out the standby cards, they request for your ID so that they have the names of every guest. This card is non transferrable, meaning the person in line has to be the person who attends the show. This prevents anyone from selling the free tickets at an inflated price. The line is outdoors. I was wearing my birkenstocks and was practically freezing. Lucky for me, the people in line behind me lent me their blankets. In return, I shared an umbrella with them as it started pouring. Alright, I know all that, its so intuitive. I want to know what the process is to get a standby ticket. At 9am, a Fallon staff will start to hand out Standby Cards. This is not a guaranteed ticket. You are then directed to come back at 3:30pm and line up again (luckily indoors), to see if you get an official ticket. The average people in the standby line that gets in is about 20 - 30 people. For the show I went, about 25 people got in. The day before it was 29. Make friends with people in line! Time passed by so quickly for me despite being a solo guest because everyone in line were so friendly. If you are going with a friend, be prepared to sacrifice your spot in the name of friendship. Pack food if you are alone. I went prepared because I knew my options will be limited at 5am in the morning. So you’ve finally gotten your tickets into the show! What happens next? You get escorted into the Peacock room, a waiting room for the guests. At this point, no photography is allowed (not even pictures of your ticket), and it will be your last chance to use the bathroom. We were then prepped a little, and were informed to cheer and clap as loud as we can during the show. There will be a number / letter behind your ticket. Being on standby means you are the last to get into the theatre, so if you may not get the seats in front. I would be happy with an aisle seat because Jimmy walks up and down the aisles to answer questions and speak to the audience while the stage setup happens. Tip 1: You want to talk to Jimmy? This is your chance. All guests on the taping I attended - Kate Mara, Tom Cruise, Bleachers and Mike McCready were great. 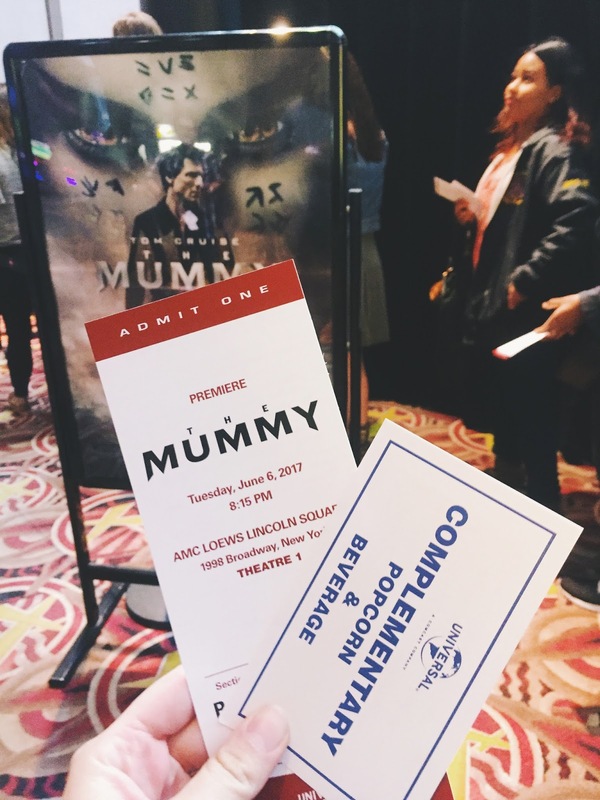 Tom Cruise surprised us by putting the whole audience on a bus to watch the premiere of his The Mummy movie. Tip 2: Don’t make concrete plans for after the show! It may not happen often, but when surprises do happen, you want to have the whole night off. I almost made the mistake of buying a broadway ticket for after the show. Apart from a short Q&A session, there’s not other chances to get near Jimmy. No pictures / autographs are allowed so just enjoy the show! 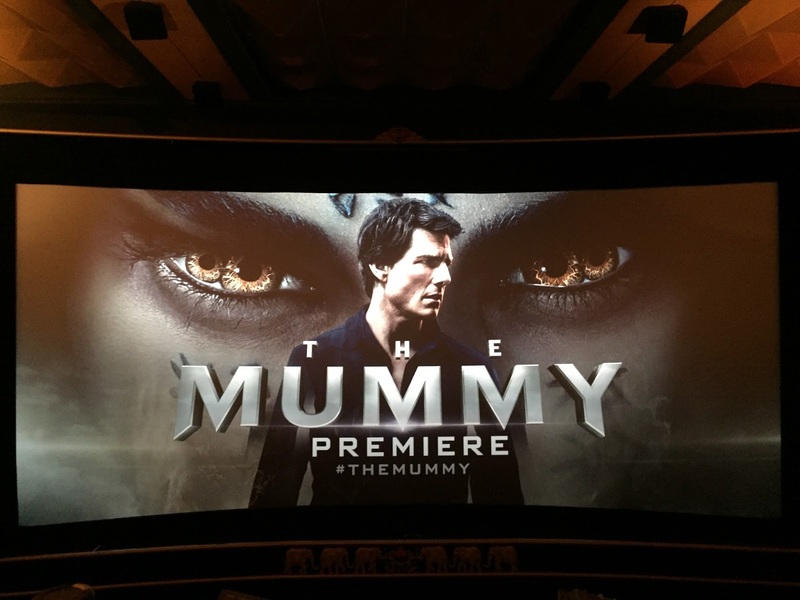 I’ve never attended a movie premiere before, so I didn’t know what to expect. 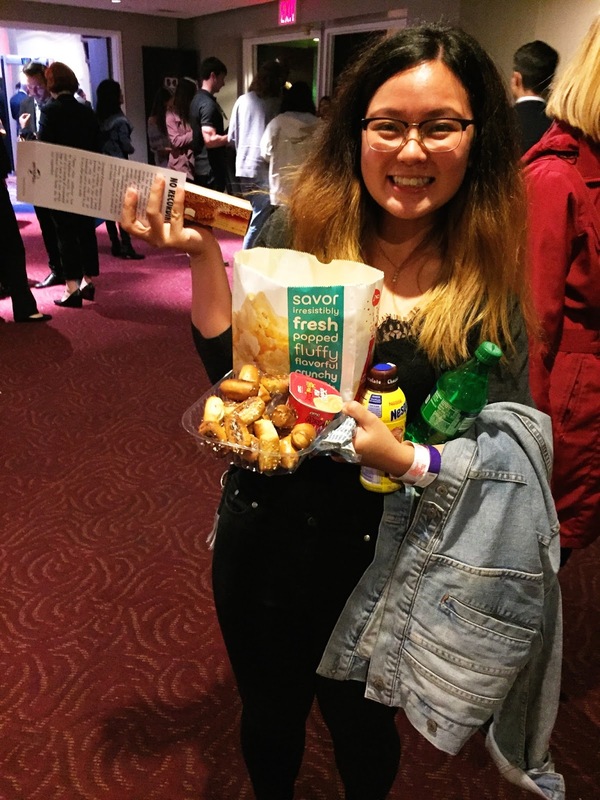 We were given tickets, complimentary popcorn and beverage, as well as a $10 food voucher. However when I got to the counter, I was told I can pick anything I want. It was like a childhood dream come true. 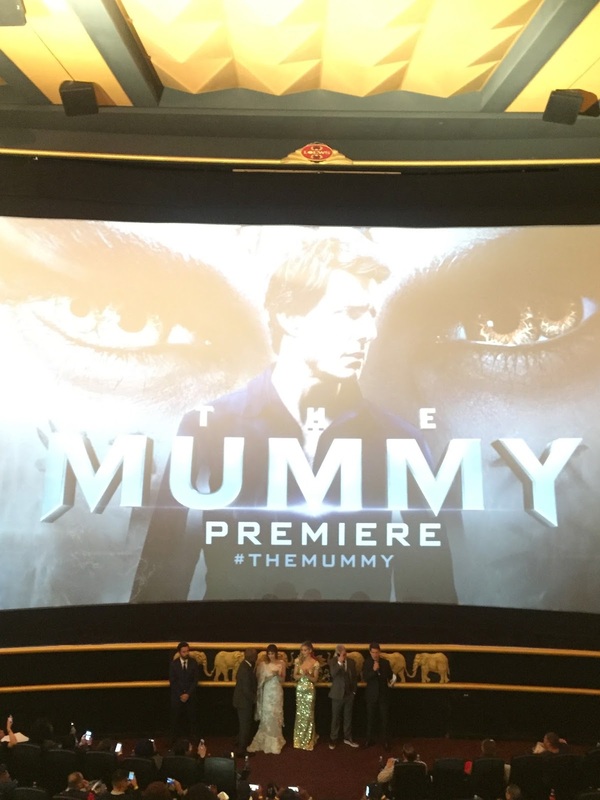 Tom Cruise and the whole cast of mummy came on stage right before the show. Tom Cruise, hot as ever made a speech and was very friendly to his fans. Annabelle Wallis had a stunning glitter dress on that I couldn’t take my eyes off, Sofia Boutella looked super beautiful and there was Jake Johnson as well. After their speeches, the cast left and the movie began. I won’t comment about the movie as that is out of topic, but do catch it in 3D. It makes the experience a lot better. Ok seriously, it was the best day in NYC, or maybe I should say my life. Seeing Jimmy Fallon live was better than I expected. He has moved up my talk show ranks that he is now second on my list, right after John Oliver (nobody beats spitting cussing English man covering intellectual topics). Sitting in my bed at 3:30am that morning, I asked myself “would it be worth it to leave my bed now for Jimmy Fallon?” Yes. Yes. Yes. I would do it again if I have the chance.